The festive season is fast approaching, and searching for the perfect gift can be a daunting task. From gifting shirts that are several sizes too small to accidentally getting them a purse they already own, the sheer amount of social gaffes possible when shopping for a fashionista is staggering. Never fear, from the hyper-glam fashionista to the quirky bohemian, we’ve got the ultimate guide to gift shopping for fashionistas in Joburg. With free alterations ensuring that no gift ever needs to be returned and personal shopper services to make picking a gift that much easier, Odrin is a super stylish menswear store in 44 Stanley that makes gift shopping for the most fashion-conscious gentleman easy. Offering a range of men’s clothing items that every man’s wardrobe should boast, premium quality is king here with Odrin’s core values being anti-fast fashion and the perfect fit. 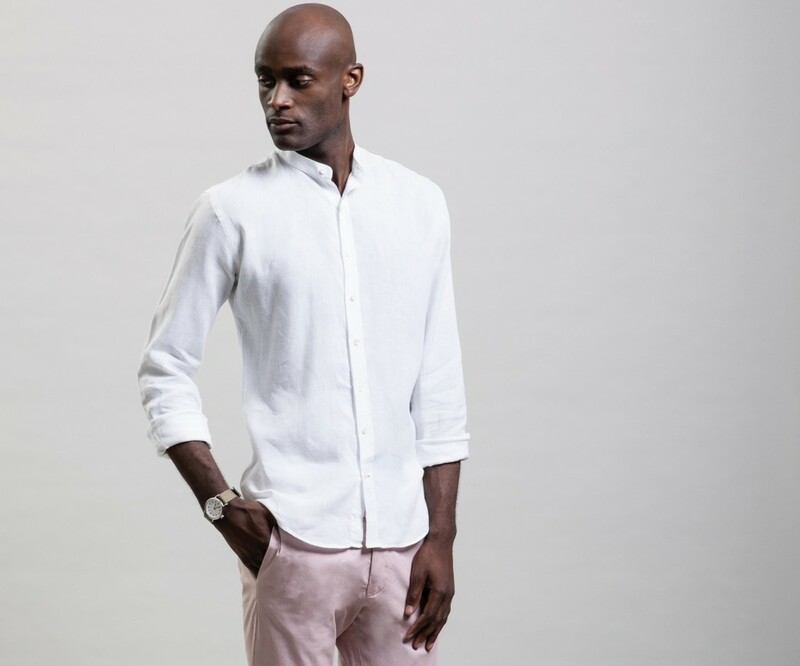 Our favourites include their breezy French linen shirt (available in five colours and two different collar styles), described as the ‘ultimate beach to bar’ shirt. Visit our Facebook for your chance to win one of Ordin’s classic shirts worth R1,200! Take advantage of Via La Moda’s annual massive 22 Hour Sale (open from 5am on Thu Nov 29 until 1pm on Sat Dec 1) and score deals of up to 60% off an enormous array of finely crafted handbags and other leather accessories in a glorious arrangement of vibrant colours, shapes and textures (said to be the largest display on the African continent). Already a favourite among Joburg’s luxury set, each item is handmade with care and precision and stitched in the pristine workshop adjacent the showroom, overseen by Austrian-born designer Hanspeter Winklmayr. 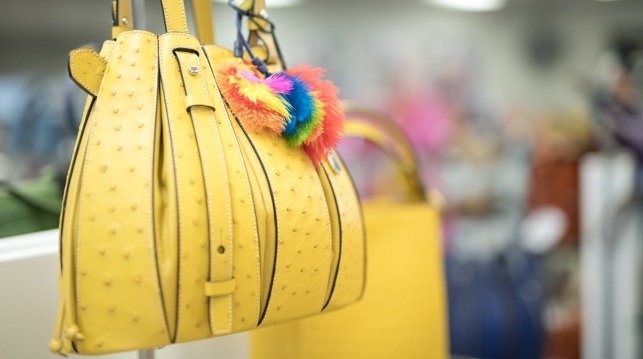 Priding themselves in producing unique designs, which are frequently updated, many pieces of Via La Moda’s bags are collector’s items, making it a perfect gift for the fussiest fashionista. Where: Visit the Via La Moda showroom at 19 Banfield Rd, Roodepoort. Or browse the Via La Moda collection online at vialamoda.com. The annual Via La Moda 22 hour sale runs from Nov 29 to Dec 1. At the Guillotine boutique in 44 Stanley alongside sophisticated and subtle designer womenswear (we love the gorgeous new artist collaboration range of silk kimonos) you can also shop for art curator Lucy MacGarry’s L’Mad Scarves. 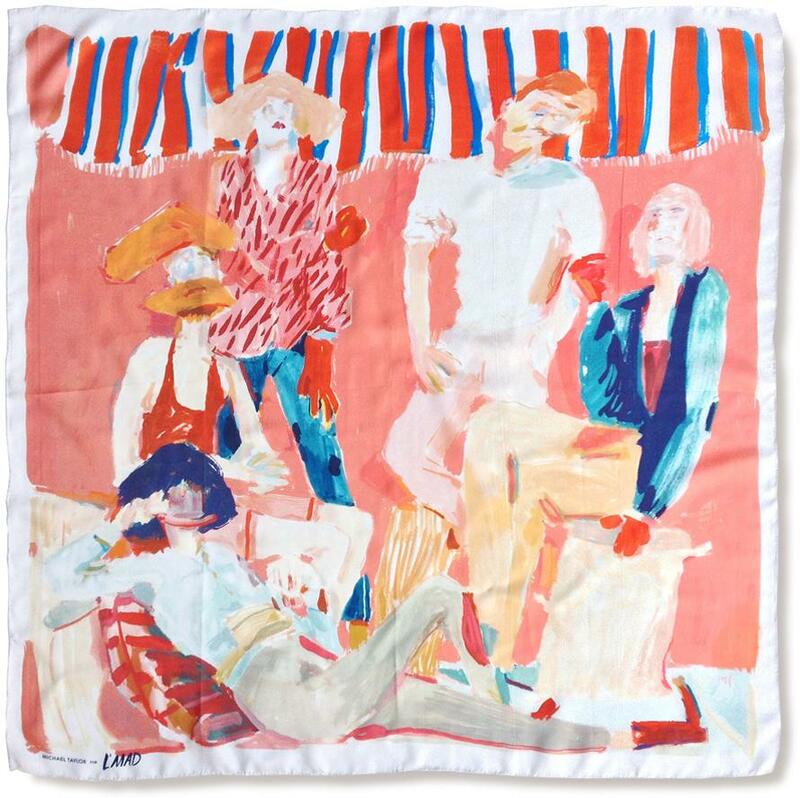 Featuring an always evolving collection of limited-edition silk scarves for him and her printed with works by South African artists and designers, L’Mad scarves make great gifts. Guillotine also stocks artist and patissier Katherine-Mary Pichulik’s much-loved accessories brand (every Joburg fashionista should have at least one item) Pichulik, which includes bold necklaces made from coloured ropes, metal, jewelled fittings and found materials like Ghanaian agate. Where: Guillotine is located at 44 Stanley, 44 Stanley Ave, Milpark. Channel your fiercest Winnie Mandela with colourful statement headscarves from Kwantu Afrocentric Originals. Founded by spoken word poet Jessica Mbangeni, every headscarf is larger-than-life following the Xhosa tradition that the headscarf is a woman’s crown. Choose between slightly smaller styles for a more understated effect or go the full mile with a colourful, beaded headscarf. Kwantu Afrocentric Originals also produce a wide range of elaborate beaded jewellery designs, available in almost every possible combination of colours. Based in Fordsburg’s famous Oriental Plaza shopping centre, after you’ve shopped for your Afrocentric accessories, stop in for a coconut samoosa from the World of Samoosas and check out the dazzling fabrics on sale at the plaza’s many fabric shops. Where: Find Kwantu Afrocentric Originals at Oriental Plaza, 38 Lilian Ngoyi St, Fordsburg and follow them on Instagram to view all the latest designs. 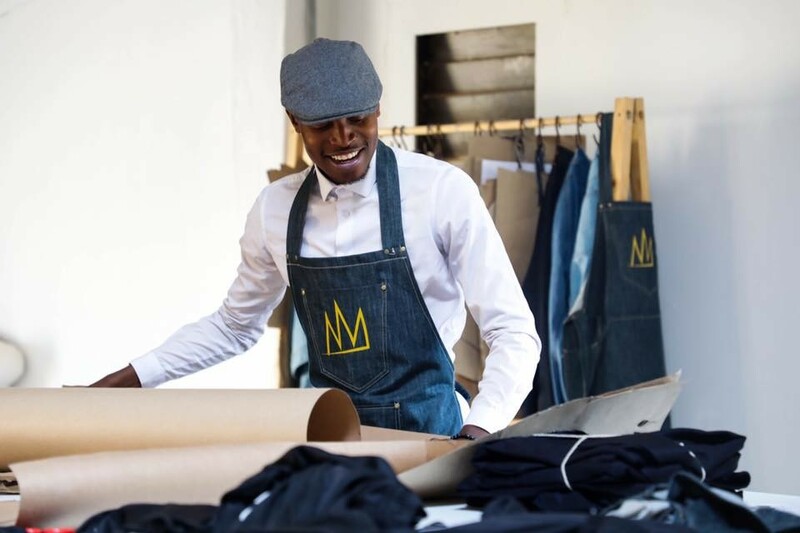 Quickly becoming the go-to denim brand for male celebrities, fans of Tshepo Mohlala’s self-titled denim brand Tshepo The Jean Maker, based in the Victoria Yards complex in east Joburg, include business mogul Sibusiso Mahone and photographer Austin Malema. Tshepo opened his Victoria Yards studio and boutique a few months ago, although many of his most faithful and well-known clients have been buying custom-made jeans from him for years. Some of Tshepo’s most popular designs include the slick, Presidential Slim Fit jeans and his denim dungarees and shirts, all of which come with Tshepo’s distinctive crown logo (designed by news-making artist Ayanda Mabulu whose studio is two doors away). 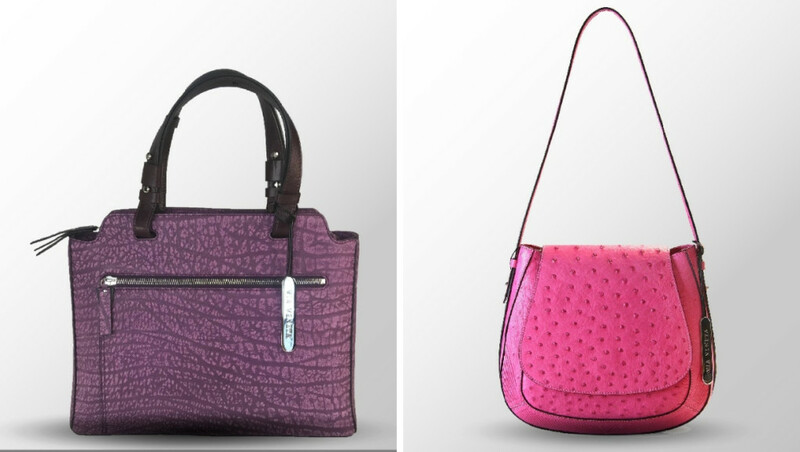 Although styles are currently only available for men, Tshepo is always happy to create custom designs for women. 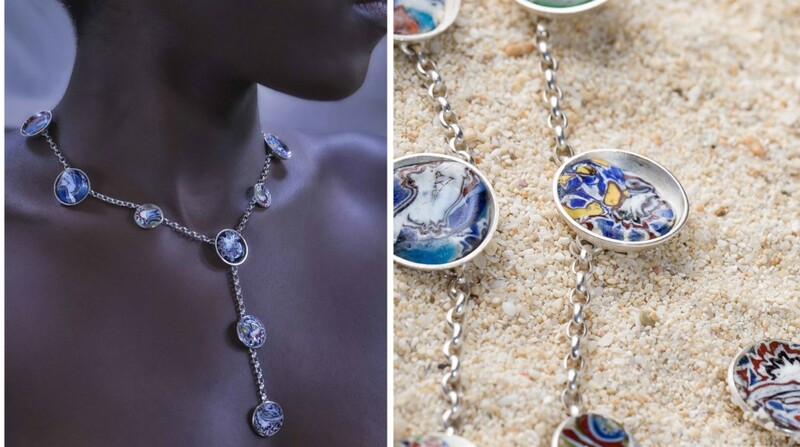 Perfect for those always on the hunt for the off-beat, unusual and one of a kind, Hélène Thomas’ Yol Bijoux Nomades is a culmination of Thomas’ ongoing love for jewellery design and travelling. Momentos and souveniers find their way into her one-off handmade pieces, with Thomas often using a variety of traditional methods she accumulated on her travels and unusual materials like wood and mother-of-pearl. Jewellery can be bought directly at Thomas’ studio-showroom in Victoria Yards, a fascinating place to get a glimpse into her creative process.